Developer Tribetoy has announced that Bow to Blood: Last Captain Standing will be flying to PlayStation 4, Xbox One, Nintendo Switch and PC this April. 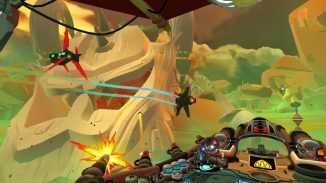 Bow to Blood was a procedurally generated airship adventure game that launched last August on PlayStation VR. That version will also be getting a free update called Bow to Blood: Last Captain. You can watch the trailer and read more about the game below. 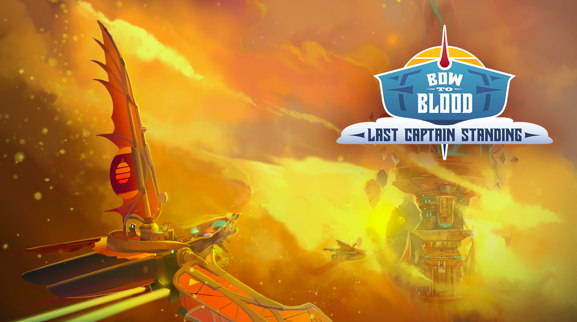 Bow to Blood: Last Captain Standing also features a Ready Player One inspired community event wherein the first player to uncover a secret treasure will be immortalized forever in the game. Will you be the first to uncover this long lost treasure? The original Bow to Blood launched as a PlayStation VR exclusive in August 2018, where it received rave reviews from Upload VR, DarkStation, and Push Square, and this newly christened multiplatform release adds a slew of new content. This update drastically enhances the game with an all new Hard Difficulty setting, more enemy ships, and improved art making airship destruction more eye popping than ever. Those with the PlayStation VR game will receive all the new content, along with the option to play outside of VR, for free. PC players will be happy to know that the Last Captain Standing release will offer Oculus Rift and HTC Vive support for the full immersive experience. Take command – Stand at the bridge of your mighty airship, with immersive high-tech controls that respond to your touch as you pilot the ship, task your crew, aim weapons, route power – and even pull your trusty sidearm when things get up close and personal. Forge alliances and plot betrayals – At the end of each match you’ll need enough friends to avoid getting voted off the season! Your AI rivals in Bow to Blood have their own motivations, objectives, and personalities. Assist your fellow challengers and gain their support, or exploit them for personal gain and earn their enmity. The choice is yours, but choose wisely – challengers will remember how you have treated them, and in the Arena, grudges die hard. Every playthrough is unique – Randomized encounters and a rotating cast ensure no two experiences will be the same. Play over and over again to discover new environments, opponents, and challenges.